Wish to improve sleep quality and waking mood. 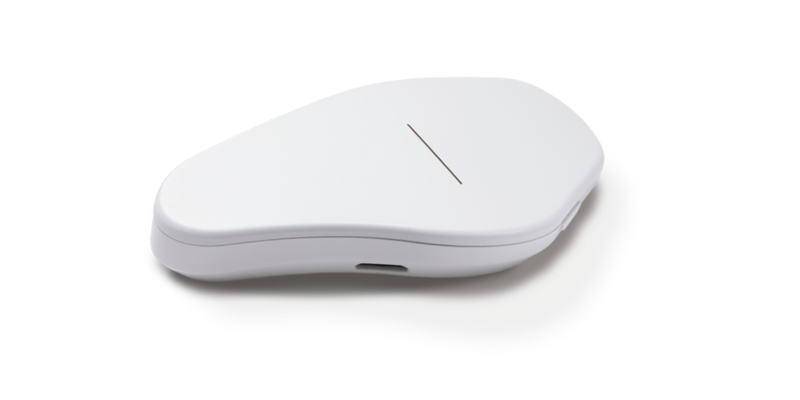 Neuros is a medical device, available only by prescription. To see if Neuros is right for you, register here and speak with your doctor. 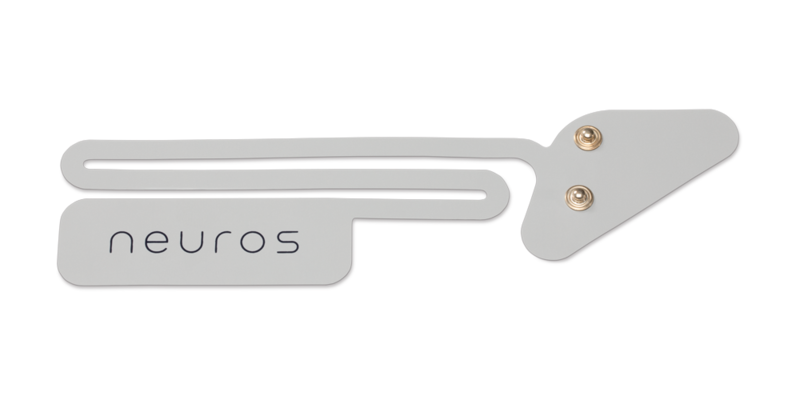 The Neuros module is battery powered and paired via Bluetooth to the Neuros mobile application. It is placed on the forehead and is used to generate the Neuros sleep waveform. A Neuros strip is connected to the Neuros module by snap connection. The reusable electrode strips are then placed on the face and neck with using adhesive hydrogel. Neuros strips contain proprietary technology to deliver the Neuros sleep electrical waveform to the trigeminal and cervical nerves. The Neuros app runs on iOS or Android mobile devices. It provides a user interface to adjust the output intensity and records data from each Neuros session which lasts 15 minutes. 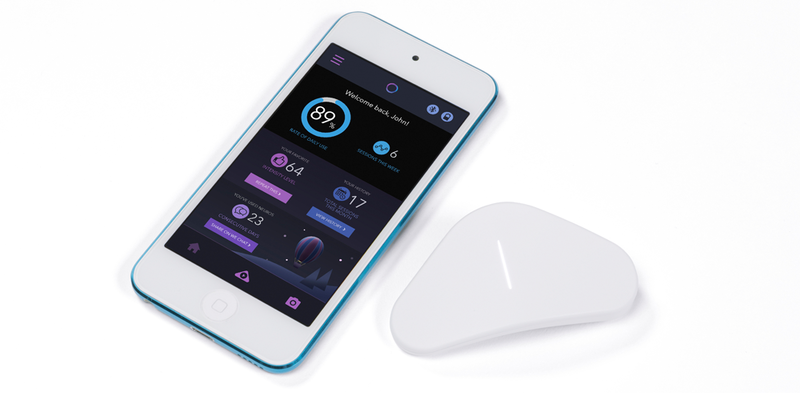 Neuros utilizes pulsed Transdermal Electrical Stimulation (pTES). TES uses low voltage electric current to modulate nerves in the skin. When applied to the face and neck, pTES modulates trigeminal and cervical nerves which form pathways to regions of the brain involved in regulation of sleep and mood. Neuros delivers a maximum electrical voltage of 4 mA, representing an output level of approximately 1/10th of the current output of standard over-the-counter TENS devices. An independent extended-use study involving 100 participants and over 1,800 Neuros sessions demonstrated side effects were equal to sham (no stimulation). Incidences of side-effects experienced by users such as headaches or other adverse events showed no difference than users who had experienced the “no stimulation” protocol. Recent clinical studies have demonstrated that when compared to baseline and/or placebo, the use of Neuros resulted in significant reduction in anxiety, stress, drowsiness, number of wake-ups and morning amylase levels (p < 0.05). Use of Neuros also resulted in significant increase in refreshment, overall sleep time and morning cortisol levels (p < 0.05). Neuros is a Class IIa, medical device. It has been independently tested by outside agencies to provide assurance of conformity to applicable standards for safety. Note: Neuros technology was previously sold in the USA under the brand name “Thync.” The Thync brand is mentioned in each of these scientific studies. For more details on the history of Neuros technology, see our White Paper. 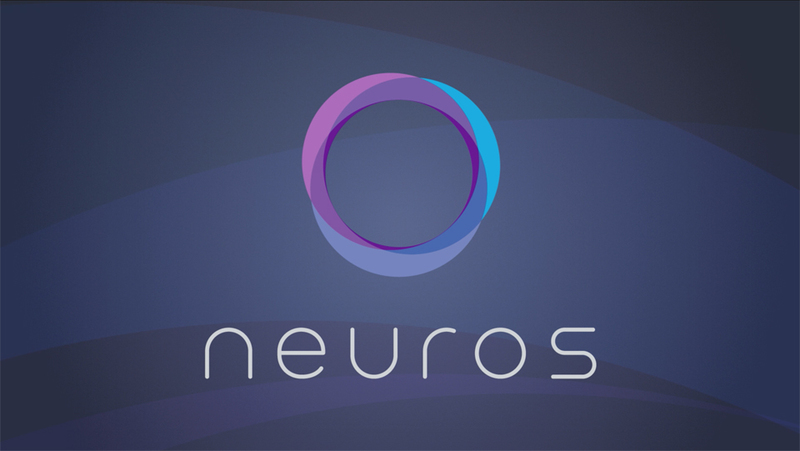 Want To Keep Up With The Latest On Neuros? For more information, including updates on availability of Neuros, please subscribe below and we'll keep you in the loop. * These statements have not been evaluated by the United States Food and Drug Administration. Cerevast Medical, Inc. has international commercial rights and intellectual property rights to the Neuros technology in all regions of the world outside the United States and Canada. Subscribe for updates. Cerevast Medical, Inc. All Rights Reserved.